Pretty good match. Gargano and Ciampa looked good as usual. Lun and Bing looked okay, but not great. This one didn’t really get exciting until near the end. Earlier today, Kota Ibushi and TJ Perkins tell Dasha Fuentes why they are teaming up in the tag tournament. Charly Caruso asks Samoa Joe why he didn’t attack Nakamura. Joe corrects Charly, telling her that he never intended to attack Nakamura, he was just checking on how Nakamura was doing. Not much of a match. Aliyah landed a few okay moves, but it felt like they were just biding time until Liv Morgan showed up. After the match, Liv Morgan continues to go after Billie and Peyton. Aliyah tries to help Liv, but she and Liv both get beat up. Kind of a squash. There weren’t a lot of moves in this quick match. After the match, Mike Rome starts to ask Dillinger about opportunity when Booby Roode attacks. Roode hits Dillinger with a Glorious DDT on the stage. TM61 tells Dasha Fuentes how they’re preparing for their next match in the tag tournament. Squash. Asuka was just playing with Thea. It was cool to see Thea Trinidad in NXT though. After the match, William Regal comes out to the stage and tells Asuka that she will be facing Mickie James at NXT Takeover. Mickie appears on the video screen and says she’s coming for the title. Charly Caruso asks Paul Ellering if he’s pleased with the Authors of Pain. Ellering has a plan, and the AoP will carry out that plan. Very good match. There was a lot of fast action, to the point where even when the match slowed down, it wasn’t slow. Ibushi and Perkins make an exciting team, and Dorado and Mustafa helped make them look even better. There was a ton of flying in this one as well as some good, hard-hitting moves. It kind of felt like I was just waiting for the main event. 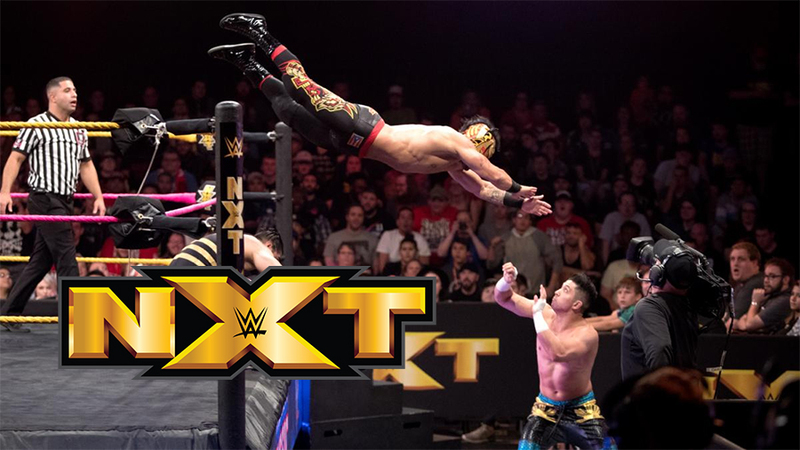 A lot of stories got touched upon, and some matches got set up for Takeover, but the matches prior to the main event weren’t much of anything. Still, I think the show is definitely worth a watch. It had some nice surprises and the main even was really good. This is an easy pick. This match could have won most weeks, but tonight it was miles beyond anything else on the show.